We love to hear what our clients have to say. Please take a moment to tell us about your experience. 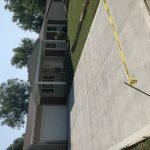 Kleeschulte did a truly awesome job installing a concrete driveway in Lake St. Louis. Not only is the concrete installation beautiful, but the crew cleaned up after themselves and re-seeded the lawn. Most contractors would not do that ! Thanks guys! Love the help and honesty of James. He really cares about the quality of the work done, works awesome with the customer and makes sure the job is done well. This company is awesome! I would recommend them to anyone I know. For work that needs to be done at a good price and you care about QUALITY work, they are your choice. James Rumfelt is THE guy you can trust for your job, and he will show you how much he cares about the job! James Rumfelt is experienced in his field and a trusted business partner. James Rumfelt with Kleeschulte is such an incredible representative of the industry. He takes his time and really listens to the clients, understanding what they want AND follows through with exactly what is needed to finish the job. Thank you for all the work you’ve done for our clients! We will continue to recommend you! James is honest and knowledgeable in the concrete area. He explains the projects in full detail and is a pleasure to work with. James Rumfelt and his team are an amazing, & trustworthy group! We will continue to partner with Kleeschulte for all concrete projects we have!! In mid March we had our driveway, sidewalk, and patio replaced by Kleenschulte Concrete and wile I’m not an expert on concrete, I am a rather particular person and l must say the people at Keenschulte did a very nice jog on all three of the projects. They did what they promised to do and we would certainly recommend them. Mike & his team did a fantastic job. Mike got here before his crew to review their process, time requirements and finishing work with us. Crew worked hard to insure they got the job done right.Cleanup team walked us around finished driveway & sidewalks answering questions to insure we were satisfied. We would recommend Kleeschulte to everyone. 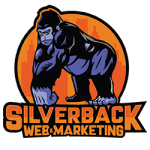 Great company that does great work! The entire experience was great. The sales person who came, James R, was very thorough in explaining the process they would take and showed pictures throughout the presentation. It took him less than 10 mins to measure the driveway and give me a bid on the work that I wanted to be preformed. When the guys came out to rip out the old driveway and pour the new one they were nothing but professional the entire time. To start, Mike Kleeshulte came over himself to explain the work and ask for any last minute questions. The crew started at 7am and finished by 1230 on that same day. The clean up crew came and filled with top soil and seed and took all of the wood and other few items that the other crew had left. Originally I had 6 companies come out to give bids, and Kleeshulte was the only one who explained their process and showed me pictures of their prior work. They were also the least expensive. Great quality work, very pleased. Definitely recommend this company. The entire process was easy, fast and went according to the plan that was laid out from the beginning. Each K team that came in to do their part of the job was professional, courteous and willing to answer every question I had. Watching them I could tell they knew their job and they did it well! They did an amazing job from start to finish! Top notch company. I would highly recommend this company!